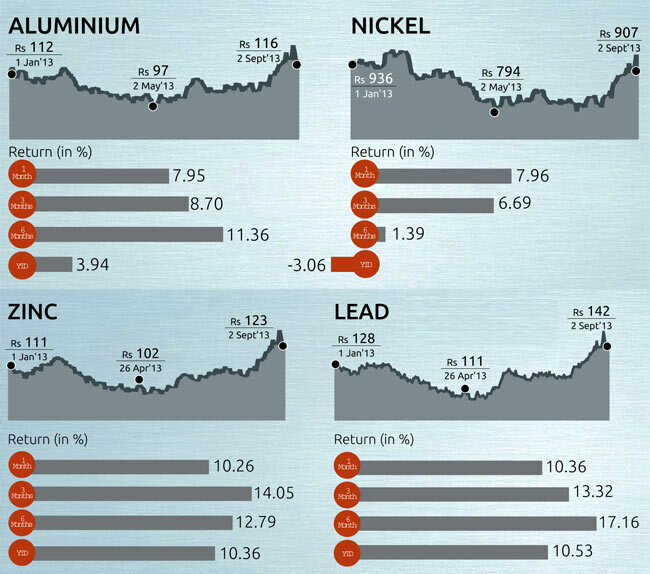 Base metals have been dancing to the tune of global forces. Under pressure in the first six months of the year, they staged a sharp rebound in July. Money Today talks to experts to gauge how the market is likely to play out in the next few months. "However, the surplus has been 66 Money Today � October 2013 narrowing over the years. 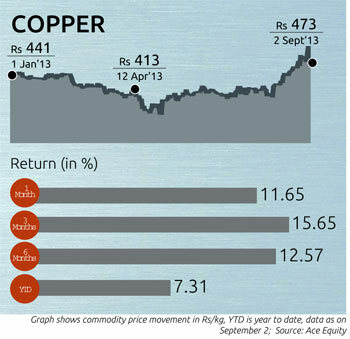 For instance, in the first five months of 2012, it was 1,52,000 tonnes," says Praveen Singh, senior research analyst, commodities and currencies, Sharekhan Commodities.